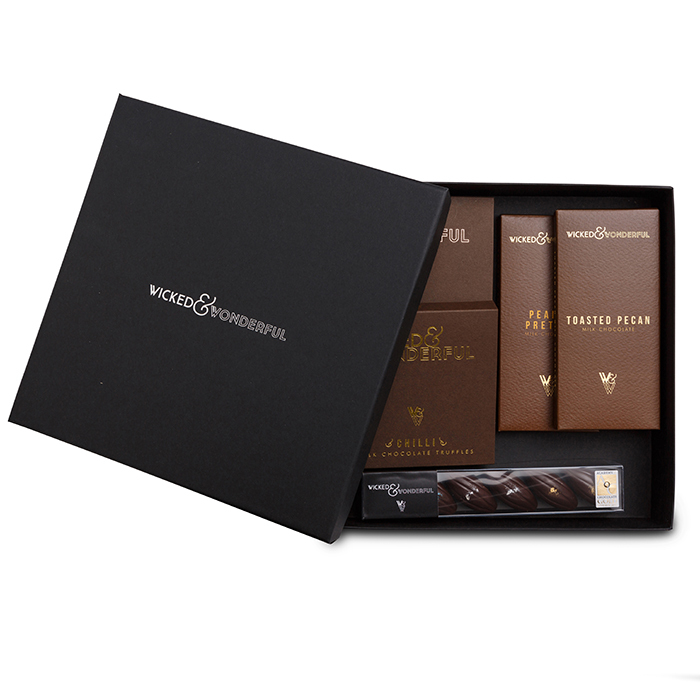 The ultimate selection for the milk chocolate lover. Crafted with fairer than fair trade chocolate. and 1 x Academy of Chocolate Gold Medal winning salted caramel selection, including Traditional, Muscovado and Palm Blossom caramel. Presented in our stylish silver foiled debossed gift boxes.